Cancun is most famous for its extraordinary cheap holiday deals particularly in Cancun City. Cancun is a southeastern Mexican city, on the southeast shoreline of the Yucatán Peninsula. It is a significant holiday destination and people that come to Cancun for the music and nightclubs will not be disappointed. The following are just a small portion of the best dance club in Cancun. 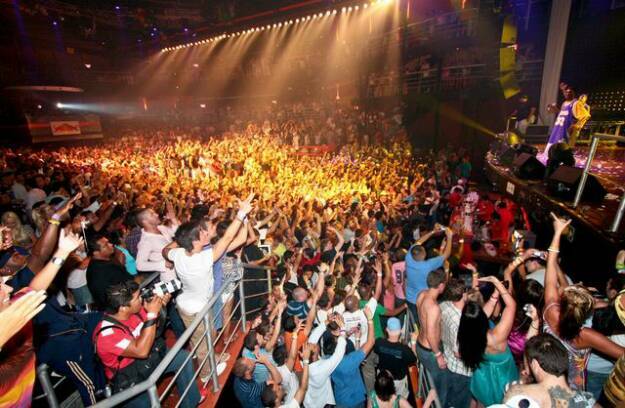 Rolling Stone, MTV, E Entertainment and Billboard Magazine all have great things to say in regards to Coco Bongo. The dance club is acclaimed for its massive dance floor that can have up to 1800 dancing on it at a time. If you are searching for global entertainment in Mexico, then Coco Bongo is the spot to be. How would you love to move to the most recent dancehall tunes under the open sky? Mandala is a haven for those seeking high energy clubbing. It can hold over 800 partygoers and is the place to be if you need to show off your moves. An extension of Mandala nightclub is Mandala Beach which has a reputation for hosting elaborate beach parties on one of the area’s most popular public beaches. Mandala Beach has beautiful beachfront pools flanked by cushioned chaises, high-end cuisine, and a modern, sleek vibe. This is the most current night spot in Cancun. Its DJ’s will spin the most recent house, pop and chart tunes as the partygoers delight in stripper competitions. As long as your mother doesn’t get wind of your evening, you are in for a long night ahead of you. If you’re craving credibility, then no club in Mexico can get more genuinely Mexican than Karamba. It is a local haunt and rarely gets busy until after 12pm. If you’re after a mixed bag, then you will discover it at Roots Jazz Club. This club plays music from all over the globe, from as near as Jamaica to as far as Europe. Popular types of urban music such as hip-hop, house, reggae and rock will be played by talented musicians. There are clubs for all tastes in Cancun and dancing and drinking until the small hours can be highly addictive. Don’t say you haven’t been warned.